For you really tech smart people out there, Google has issued a challenge for you. It's quite simple: Hack Google Chrome Web browser successfully, and they'll give you $20,000 cash and a Chrome CR-48 notebook. You'll have your work set out for you though. Last year, Google's web browser was the only one left untouched at CanSecWest Pwn2Own hacking contest (yes that is the real name) 2010, ZDNet wrote. This year, they've upped the stakes with the larger cash prize. The contest runs from March 9 -11, 2011 in Vancouver, Canada as part of the CanSecWest conference. The $20,000 and the computer is only going to be offered the first day. If it happens on day two or three, you get $10,000 for a sandbox escape in non-Google code and $10,000 for the Chrome bug. 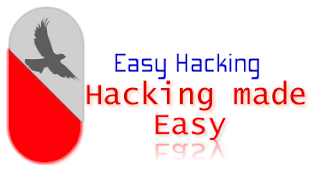 Plugins other than the built-in PDF support cannot be added to create the hack. Hacking Microsoft Internet Explorer, Apple Safari and Mozilla Firefox are also part of the Pwn2Own contest, but they don't get as awesome of a shiny money prize. Chances are most of us aren't talented enough to crack the code, but it's nice to know that Google is supporting the developers who are smart enough to take them down.